PLA is especially ideal for printing objects with flat surfaces, hard angles and ones requiring tight tolerances for fit. Manufacturing Process: Controlled using Non-Contact Laser Diameter Gauge:10.03 mm Tolerance. Monitored with rapid, reproducible and repeatable measurements to exact dimensional tolerances. Maintaining high consistency of dimensional accuracy Certifications: D3D Filaments are complaint with ROH Certifications: free from any potential hazardous substances including cadmium, mercury and chromium. Technical Specification Printing Temperature : 1900C - 2300C Heated Bed: PLA can be printed with or without a heated print bed, however, if your 3D printer does have a heated bed, it is recommended that you set your bed temperature to approximately 600C. First layer usually 50C-100C higher than subsequent layers. With Glow in the Dark PLA, increasing your print temperature 5 to 100c is recommended. Sticks well to Glass with PVA Glue ,BuildTak, PEI, or blue tape. The Dremel 300 Series rotary tool offers the precision and control required to complete a wide range of projects--from fine art to home repair. Its variable speed control allows you to set the speed of the tool to match a particular accessory or the task at hand. The Dremel 3D45 is the most reliable and easiest-to-use 3D printer for advanced users in higher education and corporations. You can now use expanded filament types like nylon and eco-ABS. To make things easier, the 3D45 has filament detection via RFID that enables the printer to automatically recognize and change settings for optimized printing. With new features like a heated bed and an integrated camera, you can take 3D printing to the next level. With the 3D45 comes the web-based slicing and printing program that allows you to directly print via wifi or ethernet connection. The 3D45 comes backed by the industry's best 1-year warranty and the world-class Dremel support team. The Dremel Multi-Max MM40 has all of the top-line features you'd expect from the Dremel brand. Packing a robust and powerful 3.8 amp motor with Quick-Boost electronic feedback MM40 is capable of tackling demanding jobs while it automatically maintains constant speed through the toughest materials. The tool's patented Quick Lock accessory change system lets you switch between accessories with a simple turn of a lever and the innovative Quick Hold magnetic accessory interface holds the accessory in place while changing accessories so you don't have to. With the extra-wide 3.2-degree angle of oscillation the speed of cut is improved to make MM40 one of the fastest DIY oscillating tools available in its class. Dremel storage case included to hold tool and accessories. 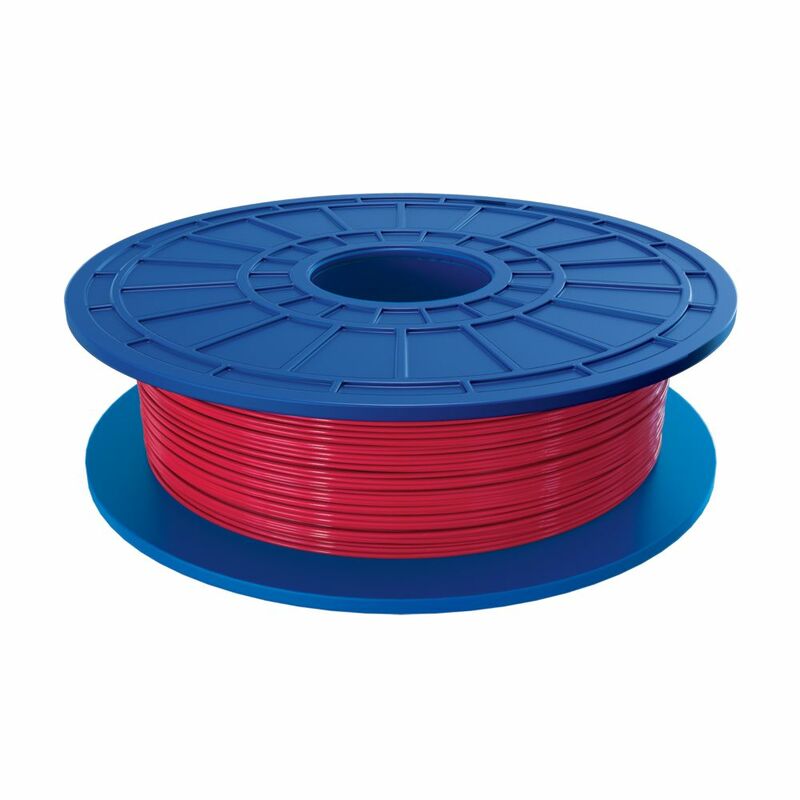 PLA 3D Filament in Red The Dremel PLA (polylactic acid) filament has been specifically designed to work with your Dremel 3D printer for optimal results. The PLA is a thermal plastic that softens when heated to create your design layer by layer effortlessly with a high quality finish.